92. אָמַר רַבִּי שִׁמְעוֹן, אוֹי לְאוֹתָם שֶׁלֹּא רוֹאִים וְלֹא מִסְתַּכְּלִים בַּתּוֹרָה, וְהַתּוֹרָה קוֹרֵאת לִפְנֵיהֶם בְּכָל יוֹם, (וְלֹא יוֹדְעִים) וְלֹא מַשְׁגִּיחִים. בֹּא רְאֵה, מִצַּד הַגְּבוּרָה מִתְעוֹרְרִים הַמַּיִם בָּעוֹלָם, וְיוֹצְאִים מַיִם, וְכָעֵת רוֹצֶה הַקָּדוֹשׁ בָּרוּךְ הוּא לְיַבֵּשׁ אֶת הַמַּיִם, לָמָּה וּנְטֵה אֶת יָדְךָ, שֶׁהוּא שְׂמֹאל? 93. אֶלָּא הָרֵם אֶת מַטְּךָ לְיַבֵּשׁ אֶת הַמַּיִם, וּנְטֵה אֶת יָדְךָ לְהָשִׁיב אֶת הַמַּיִם, לְעוֹרֵר אֶת צַד הַגְּבוּרָה וּלְהָשִׁיב הַמַּיִם עַל הַמִּצְרִים. וּמִשּׁוּם כָּךְ שְׁנֵי דְבָרִים כָּאן, שֶׁכָּתוּב הָרֵם אֶת מַטְּךָ, וּנְטֵה אֶת יָדְךָ עַל הַיָּם וּבְקָעֵהוּ. 94. וַהֲרֵי הַתְּהוֹמוֹת הָיוּ? אֶלָּא הַקָּדוֹשׁ בָּרוּךְ הוּא עָשָׂה נֵס בְּתוֹךְ נֵס, כַּנֶּאֱמַר קָפְאוּ תְהֹמֹת בְּלֶב יָם. וְהָיוּ הוֹלְכִים בַּיַּבָּשָׁה בְּתוֹךְ הַיָּם. זֶהוּ שֶׁכָּתוּב וַיָּבֹאוּ בְנֵי יִשְׂרָאֵל בְּתוֹךְ הַיָּם בַּיַּבָּשָׁה. Rabbi Shimon says; woe to the people that doesn’t connect to the Torah. The Torah calls them every day but they do not pay attention. Water comes to the world from the side of Gevurah. Why now that the Holy One Blessed be He wants to dry the water he uses the Left, Gevurah? Water is aspect of Chassadim and it is revealed when we have a desire for it, which is the aspect of Gevurah. Moses raised his left hand to bring the force from Gevurah to take control over the ‘vessel’ that held the water and because of that the water split. Rabbi Shimon explains that ‘Lift your hand’ was for the purpose of drying the water and ‘stretch out your hand over the sea’ was to cause the Left side of Gevurah to bring the water back over the Egyptian army after the Israelites pass safely. The Zohar makes a point that the bottom of the sea has depths and explains that God made a miracle within a miracle when he froze the bottom of the sea and make it like a paved road. When Moses raised his hand with the staff, the sea split into 12 paths, one for each tribe. (Zohar Chadash, Beshalach #14). The Staff had the power of the three columns and the names EL אל for the Right, Chessed. אלהים ELHYM for the Left, Gevurah and יהוה YHVH for the middle, Tiferet. 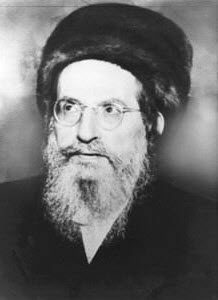 The opening words of Rabbi Shimon in paragraph #92 look as if they are not related to the rest of the text but rabbi Shimon wants to wake us up to the study of Torah that reveal all of these great secrets. Without Torah study through the Zohar we can’t understand the Tree of Life and the spiritual system. The Torah is an open book that calls us every day to read it and dig out secrets and draw water of Chassadim. We are lucky to have the Zohar to study a little bit Torah everyday and reveal its secrets.